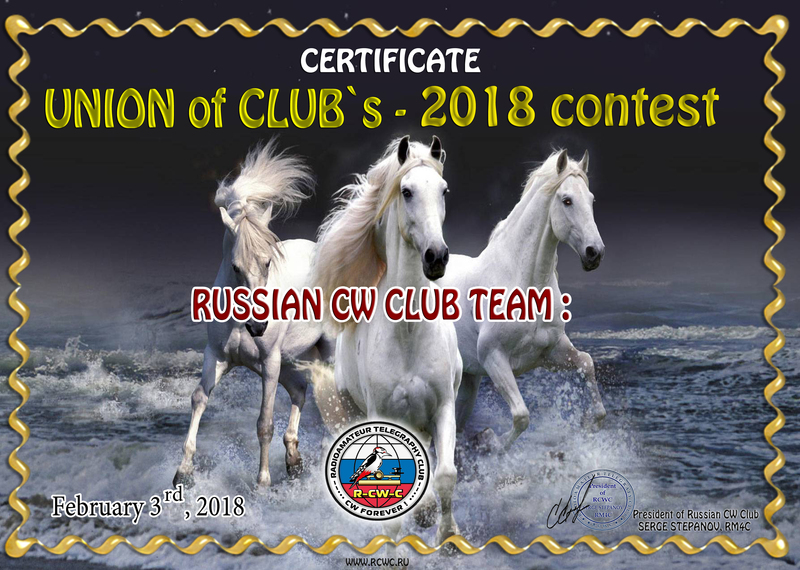 On February 3 annual competitions "The Union of Clubs — 2018" will be held. To participation in competitions radio fans of all countries of the world are invited. We invite to take active part in this action and to support team of our club which is one of the strongest not the first year. For this purpose it is necessary to specify in a header of the report in the line CLUB: RUSSIAN CW CLUB.